Wedy, real name Mary Kenwood, is a professional burglar in the employ of L. She installs bugs in the Yotsuba Group&#039;s meeting room to secretly observe the group&#039;s weekly meetings. She does the same for Higuchi&#039;s car, allowing the team to watch his desperate attempts to kill Matsuda. Since she is a professional criminal, she is known solely in the underworld. Wedy uses her initial in computer communication; to avoid confusion with Watari ("W"), she deliberately uses the lowercase form, "w". She (like Aiber) is referenced to, but does not appear in, Death Note: Another Note. Ohba said that he created Aiber and Wedy so he could use characters with "special abilities" to advance the storyline. He said that he wanted to use Wedy more than Aiber. As an example he explained a scenario involving Light controlling Wedy, making her place cameras in the headquarters so Misa could see L&#039;s face "... or something." According to Obata, he drew Wedy as a female model as he did not know what kind of character she would be. 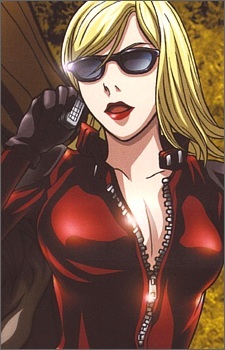 Obata added that Wedy has the "stereotypical female spy look." Obata believes that if he drew Aiber and Wedy to look "a little bit more original", Ohba could have included the characters in a larger role in Death Note. After L&#039;s death, Light kills her using his Death Note; Mary Kenwood dies in a motorcycle accident in Colorado.